The condition for a line to be the tangent to the hyperbola is that and the tangent to the hyperbola is . If equation (iii) has equal roots, then the line equation (i) will intersect the hyperbola (ii) at one point only and thus is the tangent to the hyperbola. 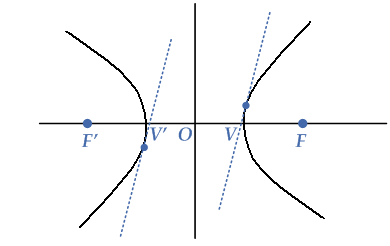 These are the tangents to the hyperbola as shown in the given diagram.